We develop some of the best plugins for WordPress and WooCommerce, as well as offer custom WordPress development starting at only $79 $49. Thousands of individuals and businesses trust WP Geeks’ plugins to support and grow their WordPress websites on a daily basis. 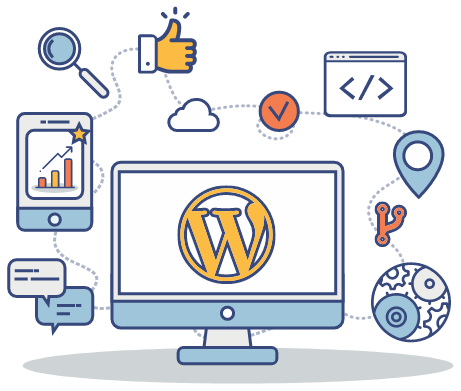 Our plugins are hand crafted by some of the top WordPress experts and engineers and we’re passionate about providing the best after sales service in the industry. Have a look at our products and see how we can help you. We pride ourselves in bullet-proof security and do everything in our power to make sure that the plugins that we ship, are free of any security vulnerabilities and bugs. We go to extra lengths to test and battle harden our plugins before they ship. We decrease the number of decisions that you need to make when using our plugins and build our plugins to beautifully integrate with WordPress and WooCommerce – without sacrificing any flexibility or extendability. All of our plugins are built with coding standards as a number one priority. We apply the WordPress Coding Standards to all of our projects to ship consistent and extendable plugins that are loved by both users and developers. Our plugins are blazingly fast and are built to scale. No matter what the size of your website or online store, you can rest assured that our plugins will not slow it down. Performance is now one less thing you will need to worry about. All of the plugins sold and services offered by WP Geeks are backed by our 30 day money back guarantee. Should you purchase and try any of our products or avail of our services and not be completely happy for whatever reason, just send us an email and we will refund your purchase. No questions asked.